You've got an entire collection of men's jackets and work sweatshirts to choose from, but do any of them provide you with flame-resistance? We don't recommend testing them all out, but instead we encourage you to wear this Ariat Men's 10015950 Flame-Resistant Navy ... (see full details) (see specifications) #ARW10015950. You've got an entire collection of men's jackets and work sweatshirts to choose from, but do any of them provide you with flame-resistance? We don't recommend testing them all out, but instead we encourage you to wear this Ariat Men's 10015950 Flame-Resistant Navy Blue Polartex Quarter-Zip Fleece Sweatshirt. It has the front handwarmer pouch pocket your hands love, as well as the flame-resistance you need to stay safe at work. You'll keep warm when you're wearing this Ariat sweatshirt, as it's made out of a durable, soft 10-ounce FR knit and features lightweight insulation. The flame-resistant material is composed of 44% viscose, 39% modacrylic, 14% para aramid, and 3% spandex. The men's sweatshirt has Polartec Wind Pro coverage, which regulates warmth by providing you with wind-resistance. It also has a tight, contrast coverstitch knit construction for added durability, as well as a water-resistant finish to keep you dry. The mock neck gives you even more coverage against the wind and the cold. The flame-resistant sweatshirt comes in a navy blue color, but you're more concerned about its fire-resistant protection. 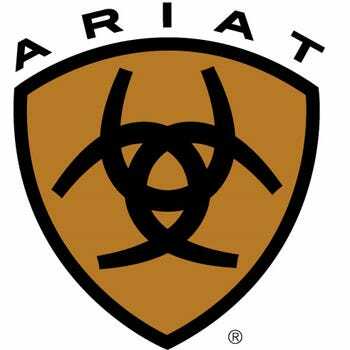 That's what this Ariat workwear is all about. The jersey and velour dual-hazard technical midlayer meets the NFPA 2112 and NFPA 70E safety standards, which means you'll be guarded around potential flash fires and electrical arc flashes that can happen on the job site. This Polartec pullover has an Arc Thermal Performance Value (ATPV) of 16.0 and a Hazard Risk Category (HRC) level of 2. Add a piece of flame-resistant clothing that'll help you stay safe in and out of your workplace. You can wear this Ariat Men's 10015950 Flame-Resistant Polartec Quarter-Zip Navy Blue Sweatshirt anywhere, so order yours from Working Person's Store today to ensure your safety. The sticker price for this thing is high, but I will say it’s worth it. This thing cost more than my heavy FR winter coat, so it is expensive. It is also extremely warm, and probably the warmest FR sweatshirt style top I’ve owned. It also blocks the wind surprisingly well for the material which seems to be a fleece type. I try not to wear it as an outer layer because I’m worried about the durability of the material. Instead I wear it as a mid-layer in the winter (Bakken) and it’s great for that. I work at a plant so I’m constantly going in and out of buildings and need most of my layers to be FR so I can work inside and out. It’s definitely worth the money if you’re looking for something like this though. I really like the Ariat Sweatshirts: Men's 10015950 Flame-Resistant Blue Quarter-Zip Sweatshirt. The fabric is thick and durable and very warm. The seems look like they would be impossible to tear apart and they also look "cool" on the outside of the sweatshirt and the front pocket is big enough to keep your hands warm or keep your gloves in. Finding a nice gap that fills the chilly fall and cold winter can be hard to find when you're required to wear flame resistant material. This jacket was a bit pricey but at the end of the day it is a god send and has saved me from freezing a few times. Fits just as the size states and doesn't show dirt and wear. Ariat Sweatshirts: Men's 10015950 Flame-Resistant Blue Quarter-Zip Sweatshirt is being added to your cart.